The month of February is about to end and we are back again with a list of top rummy apps you must download and play. You can do rummy games free download and so, these games are accessible for everyone who loves to play Indian rummy anytime and anywhere. Check out the top rummy apps and download them today to get started! Indian Rummy from Octro Inc hasn’t moved a single position from its top spot due to the popularity and the number of downloads it got in the month of January. For players who are looking for Indian rummy game free download, this app is a gem considering the features that none of its competitors can match. 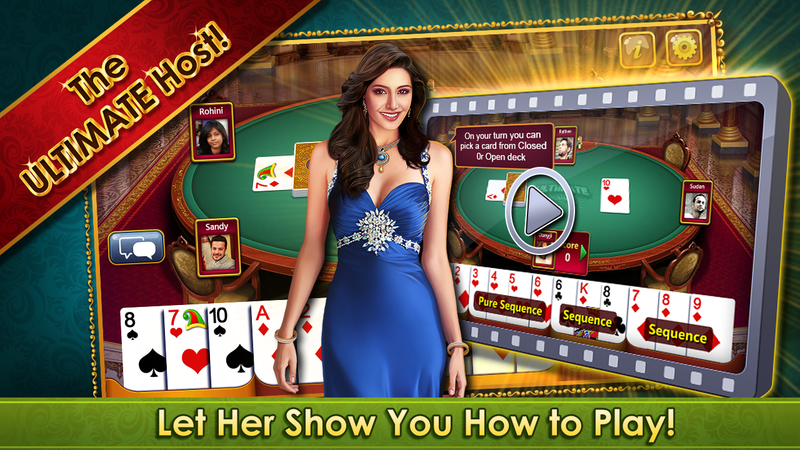 The game features Live Tables and the players can join these games with virtual chips they gain every day just by opening the app. A new update for this rummy app also has features like automatic grouping of sets and sequences, showing your last grouped hand if error in network connection occurs and predicting the amount of points you will lose with your current grouping. Ultimate RummyCircle from Ultimate-Games is an app made entirely with the help of one of the top rummy websites in India, RummyCircle. If you want to enjoy the game for free instead of spending cash and have fun, you can do Indian rummy game free download of Ultimate RummyCircle from Google PlayStore or Apple App Store. The game has rich graphics which is more welcoming to players who love card games. The swipe to discard and pick cards is another great feature which most of the mobile rummy players enjoy. Just like all other rummy games for mobile, this app also rewards players with free chips for daily login. G4A: Indian Rummy might be the first Indian rummy app from a European market. The game has a unique yet user friendly interface with basic controls like swipe to pick and discard cards. The game shows the penalty points from the beginning of the game and as a player your mission is to reduce and complete the game before your opponents making the penalty points to 0. The game is brilliant to play on a tablet device as it gives you a better visibility of the whole game. You can do rummy game free download for your android and ios devices to have fun for unlimited hours.